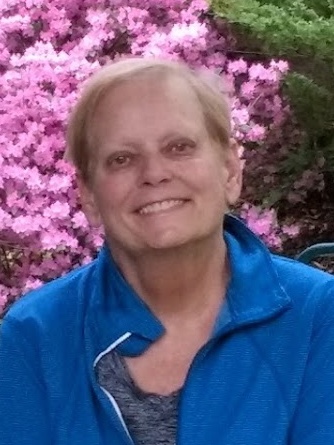 On Saturday, November 24, 2018, Annie-Claire Hoden, loving wife, mother of three, and grandmother to four young children, and dear friend to many, passed away at home at the age of 66. Annie was born on October 3, 1952 in Norfolk, VA to D. Richard and Anna (Siedle) LaBarbera. She graduated in 1973 from Edinboro University of Pennsylvania with a Bachelor of Arts in Sociology. She was a full-time mother for a number of years, and also worked for 18 years as a paralegal. She then worked for several years in various fields of social work before she retired. Annie enjoyed golfing with her girlfriends, reading (“armchair adventuring”), boating on the Allegheny Reservoir, floating in the saltwater with the sunshine on her shoulders, traveling, watching college football games, and spending time with her family. She was known for her witty sense of humor, her beautiful smile, and her kind and compassionate spirit. She is preceded in death by her father, Richard; her mother, Anna; and her sister, Magdalene LaBarbera. She is survived by her husband, Daniel; her three children: Lisa (Nick) Radio of Sarver, PA, George (Louisa) Hoden of Palmer, AK, and Madeleine (Travis) Pittman of Colorado Springs, CO; her four grandchildren: Bryce, Zachary, Penelope & Oscar; and a brother, John LaBarbera, in Reno, NV, father and mother-in-law – George and Beverly (Jones) Hoden, of Englewood, FL. A funeral mass will be held on Thursday, November 29, 2018 at 11:00 am at Holy Redeemer Catholic Church, 11 Russell Street, Warren, PA, with Fr. James Gutting, Pastor, officiating. The family would like to thank Dr. Rassiga, and especially, the nursing staff at the Cancer Center for their loving care of Annie. Memorials may be made to the Warren General Hospital Cancer Center, Two Crescent Park West, Warren, PA, 16365, or Holy Redeemer Church building fund. Arrangements have been entrusted to the Donald E. Lewis Funeral Home, Inc., 304 East Street, Warren, PA.
Dan, I have many fond memories of Annie and the times we spent together with her and you while you were in Edinboro. She brought many a smile to my face with her sense of humor and quick wit. She will be sorely missed and our prayers are with you and your family. May God bless all of you. Glad we ere able to share your wife’s birthday dinner at Shoty’s in early October. Our thoughts and prayers are with you and your family. Dan, I think about all the stories you have shared about Annie and your family and hope that these wonderful memories bring you comfort. Our thoughts and prayers are with you and your family. We are so sorry to hear about Annie. We have such good memories of the fun times we had together in Erie. Annie always had a smile on her face and had a great sense of humor. Our thoughts and prayers are with you and your family. I was so saddened to learn of Annie’s passing. I worked with her at DHS many years ago and enjoyed her friendship and great sense of humor. I pray that the Lord will comfort and strengthen her family at this difficult time. Dan & Family our condolences to you on the passing of your wife/mother. You and your family are in our thoughts and prayers. Your entire family are in my thoughts and prayers . I feel like I knew your precious wife and mother through the stories that Lisa has shared with me. She lives on through all of you! What a wonderful family ! God bless Annie and all of you! My deepest sympathies to you all! I was so sorry to hear of your wife, Annie’s, passing. You and your family have my condolences and are in my prayers. May God comfort you with the warm memories of the lives you shared with her. Dan,Our deepest thoughts and sympathy are with you and your family. Please cherish all the wonderful memories that you have and know that our prayers are with all of you. My heart goes out to all. May you always find comfort and peace in the beautiful memories you shared. Dan & family, Annie was my boss at DHS she was a caring compassionate fair boss. She wrote me a beautiful letter of recommendation when our jobs were eliminated that made me cry & meant so much to me at a difficult time for us all. I just learned of her passing. Prayers for you all.